Oh, how I do love to be festive. But, I must admit that as a non-Catholic, non-Irish, non-university-student, this particular holiday always seems to sneak up on me and leave me quite unenthused. Dress your kid in green--check. Next. I sort of glanced online at a few make-work projects cute craft and treat ideas for the kids, but decided against anything extraordinary. I considered making something Irish for supper and, again, decided instead to go with our family's 15-minute meal standby. . . chicken fajita wraps. 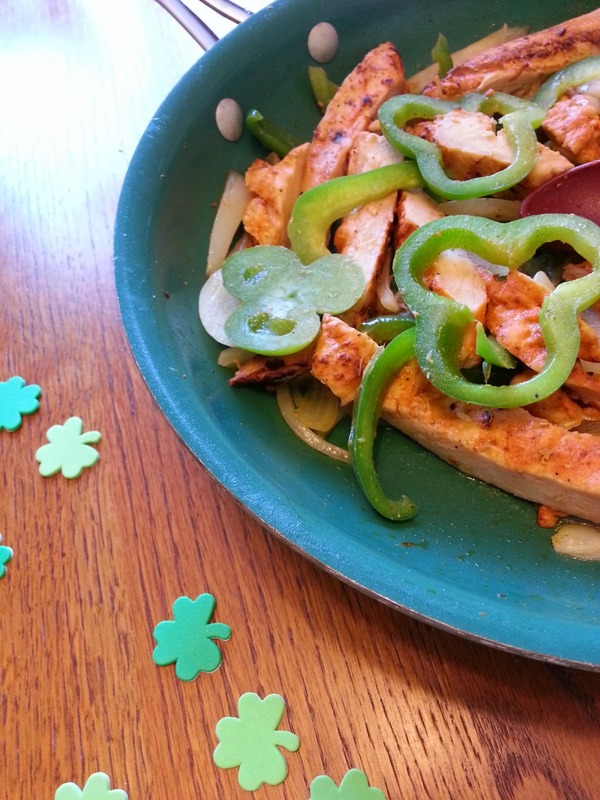 As I was cutting veggies to throw in with the pre-cooked chicken pieces, I remembered a blog post I had seen of a fancy St. Patty's breakfast fritatta. It inspired me to cut the bell peppers into rings instead of my regular strips, and there I ended up with Special Shamrock Wraps. In a timely twist of events, just before I put supper on the table my 15-month-old daughter happened to pull out all the holiday stickers onto the floor, and as I helped her return them to the art cabinet, I noticed the shamrock stickers. Booyah! We had impromptu St. Patty's festivities on our hands. The one message that I was happy to be able to relay to my son while we spoke over our four-leaf-clover wraps was related to the concept of "lucky clovers" and the "luck of the Irish." 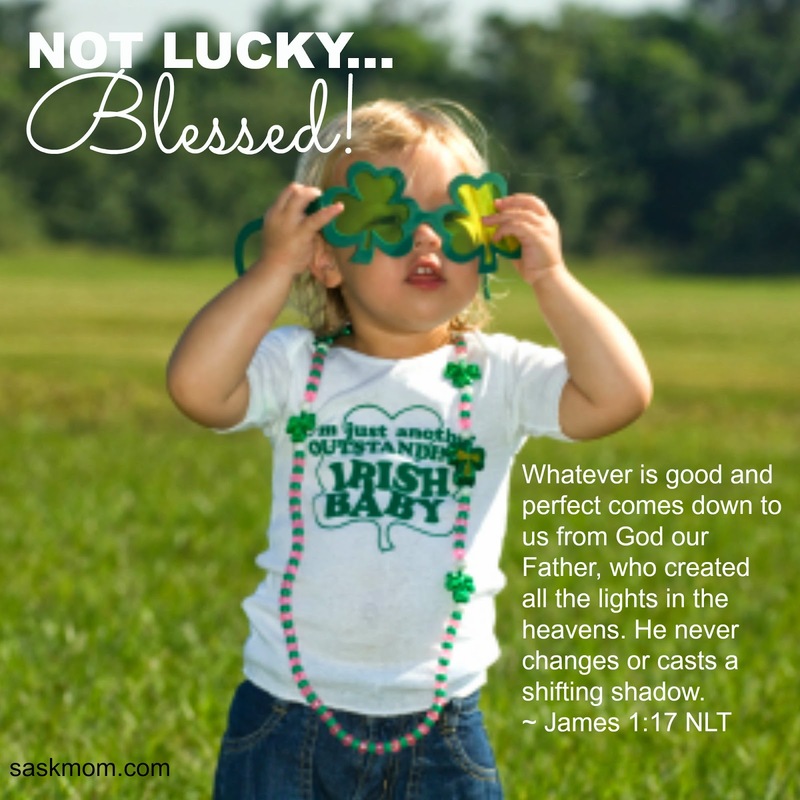 The one St. Patty's Day learning opportunity that I happened to stumble upon today as I fumbled to outline new definitions and old traditions is that which best describes our family's beliefs: WE ARE NOT LUCKY. . . WE ARE BLESSED. All that we are and all that we have are gifts from God that should be received with grateful hearts. Now THIS is something that I think we can look forward to celebrating year after year!